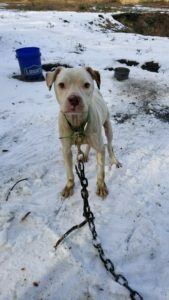 Multiple and serious complaints of neglect and cruelty on a property in Long County, GA, where several dogs that were underweight, tethered with heavy chains, frozen water, no food or shelter to protect them from the elements were ignored by animal control. The dogs were owned by a hog hunting adventure company. 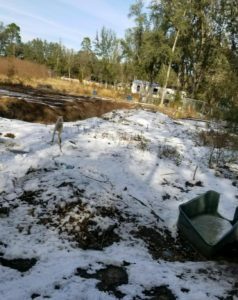 The Long County, GA authorities were well aware of this property and the Animal Control Officer for the county, has known about this property and the activities surrounding the animals, for quite some time, but didn’t respond to complaints. When he finally did go, it wasn’t on his own accord, but was forced to. According to a Long County, GA official, the ACO reported the dogs were hunting dogs, they were underweight and he would check on them monthly. All the neglected dogs disappeared from the property when attention was drawn to it. The crates used to transport dogs to hunting sites also disappeared. Pits that were used to train dog on how to rip pigs apart, mysteriously filled in. 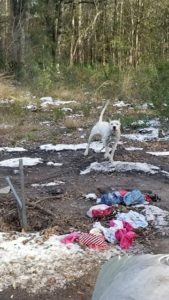 Guardians of Rescue has an ongoing investigation into why the dogs were not only allowed to stay in a situation of neglect, but why nothing has been done with regards to their disappearance or concern for their well-being. 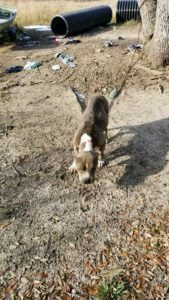 We hold Long County, GA and animal control responsible for neglect and cruelty that has gone on this property in Long County for far too long. Donate to help protect the animals of Long County, GA.